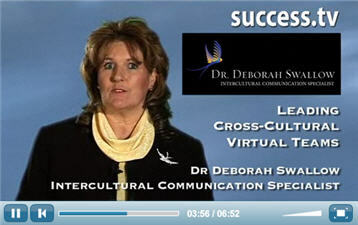 Executive Team Development « Dr Deborah Swallow – Global Cultural Diversity..
Do you sometimes feel that all members of your team are not pulling in the same direction? That some have different values from yours back at HQ? Or do you feel, in your heart of hearts, that you aren’t maximising your international business prospects because of a lack of cross-cultural communications finesse? Today’s global economic climate is dictating more than ever that business decisions will be based as much on the quality of the product and service promised as by the people element of the business. Acceptance that there are other people of different backgrounds equal to yours. In addition, Deborah’s approach will help you to get more out of meetings, to make team presentations that work, and to engage and motivate your key staff. To book an initial meeting with Deborah simply call Deborah’s office on +44 207 1936 281 or email here.